Southern Nazarene University has striven to provide excellent service to students from all over the world. Rachel Graves has been Director of International Student Services at the SNU International Center for over three years. It is her job to assist students with the admissions process, review foreign transcripts, help them set up bank accounts and live through culture shock. Around 8:30 am on January 30, Graves was informed by her co-worker, Donna, of a call for help from a new individual. 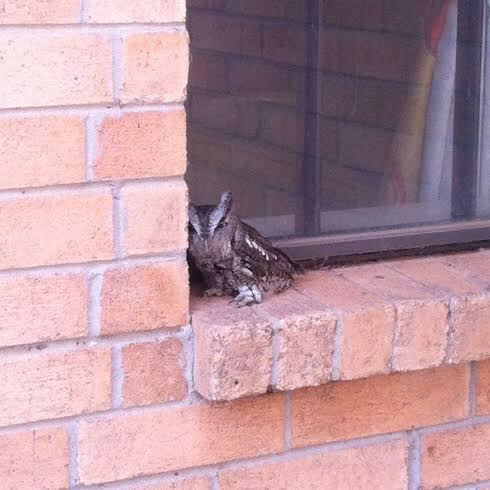 An injured owl was found perching on the north windowsill of the International Center. The owl, unable to fly, looked to be a full grown screech owl. The creature appeared to be huddling in the corner from either pain or fear. According to Graves, screech owls are small in this part of the US. She believed that high winds might have caused the bird to fall out of the tree nearby and injure itself. “We called Bethany Animal Control,” she recalled. 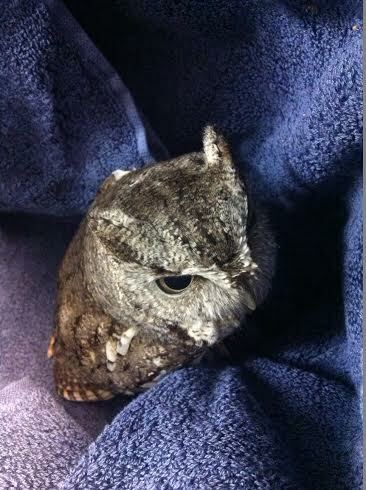 “They told us that only Oklahoma City Animal Control will take wild animals.” So they called the OKC Animal Control and were told the owl would be picked up. After several hours of waiting, they called a second time. They were informed that OKC Animal Control does not pick up in Bethany. It was then that Graves and Donna decided to take action. “We had to encourage the poor little guy to get into a laundry basket that we lined with towels,” Graves said. They decided to sacrifice their lunch break and drive the little bird to the Animal Control center in the southern part of Oklahoma City. Although not exactly an owl-whisperer, Graves is no stranger to nature. She grew up in Indonesia and also lived in China for three years where she taught English. She has worked full time for SNU for over five years. Her objective is to help international students. “I am sure coming into the U.S. is more traumatic than other countries,” she states, referring to protocol. Graves is solely responsible for these students up to as long as six years. Part of her responsibility is to make sure they do not violate student status. Just like she helped the traumatized owl to safety, Graves strives to ensure that international students feel at home and survive their new lives. The staff at the SNU International Center work hard to create an environment where students can feel comfortable, study and hang out. They want everyone to feel welcome, even the owls.